Now we see thousands of people playing online games such as tetris, ping pong, mario bros, super mario etc for free but despite its history dating back to 1970s, for most people online gaming began with the explosion of Internet in 1993 and with the advent of Doom and Warcraft sometime in 1994 or 1995. This got further boost with publishers starting to add Internet connectivity to computer games in 1994-95. In early 1950’s a college student created a game much like Tic-Tac-Toe for a class project to be played on dinosaur computers of those days complete with cathode ray tubes for the screen display. The 1960’s had MIT students programming a game called “Space war” that could be played with two people over a primitive network. The late 1960’s brought the first “real” video games like table tennis and shooter games. Serious online gaming began with the first interactive online game called ADVENT. In fact networked gaming got conceptualized with ADVENT. 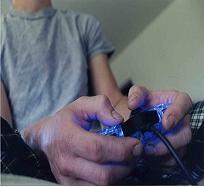 Networked gaming had users playing against each other within an online fantasy world. The first networked game was called Mazewar, a game which involved networked players traveling through a maze and attempting to kill one another. Next came the interpersonal interaction in a multi-player environment. The first such game was called DUNGEN. DUNGEN had players competing against one another to complete a series of quests. DUNGEN provided with new settings and players each time the user logged on. The late 1970’s saw the start of video game craze with more and more households getting computer savvy. As a natural corollary, people started writing their own games for the home computers. These programming hobbyists traded and sold these home-grown games in local markets. Other changes in the 1970’s were home gaming consoles which used game cartridges. That meant the people could collect games cartridges for one base unit instead of having bulky game console systems. 1980’s saw growing craze for the video and computer game craze, but online gaming wasn’t on the horizon yet. New games with better sound and graphics were introduced and gained popularity. Pole Position and Pac-man were two that achieved big popularity. It was during 1980’s when Nintendo introduced its first gaming system. Myst, the intellectual adventure game introduced gaming on the CD-ROM format. Fancier 3-D graphics hardware made FPS (first person shooter) games such as Quake possible. The late 1990’s saw the exponential growth of the Internet, MUDs (multi-user dungeons) which made online games wildly popular. New and improved graphical interfaces had people all over the world playing against each other not only in FPS games but also in real time strategy games (RTS games) as well as third person games like Grand Theft Auto. This was also the period when websites started offering online games such as tetris, ping pong, mario bros, super Mario, and other free online flash games and non-flash based games free for playing after registering with them. This really pushed online gaming into the popular psyche. Early years of the 21st century were dominated by the DVD-CD-ROM. It has changed the way online games are played. The latest gaming systems such as Sony’s play station and Microsoft’s X-box have networking capabilities to enable people play with each other in real time from all over the world. Exponentially growing broadband internet services have made playing these online games possible in true sense of the word. The only drawback to the constantly evolving technology for online games is that what you buy today might become obsolete by the next year. Luckily, for the serious gamers, the resale industry for these online games is huge. This resale industry is just another element to the ever-changing history of online game. Susie is a game developer advocating to play online games free. Visit www.Play-Online-Games-Free.com to play tetris online for free.